Carlos is a researcher at the Research and Geoscientific Prospective Department, Geological Survey of Spain (IGME). His field of work/research is groundwater and environment quality especially the protection of groundwater for human consumption. 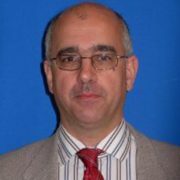 He plays an active role in the development of methodologies and implementation of the Water Framework Directive and Directive on the protection of groundwater against pollution and deterioration. He is a member of the EFG Panel of Experts on Hydrogeology.